Denver Water will help you determine and provide all service connections and certified equipment at pre-approved locations. Applications for event connections must be submitted at least 21 full business days in advance of the event. No on-site, post-application connections of any kind will be allowed. Set up and removal of equipment is done Monday through Friday between 8 a.m.–3 p.m. Permit holder is responsible for any damage or theft of equipment during the dates listed on the permit. Permit holder is responsible for contacting Denver Water to turn on and shut off hydrant when not in use. It may be possible to accommodate events outside of these hours, but may incur additional fees. To cancel a permit application, a written or electronic notification is required. If cancellation occurs within seven business days of scheduled event, a cancellation fee of $150 will be required. In some cases, Denver Water will allow filling tanks, pools, barrels, etc. for special events/festivals. However, they must be temporary structures that will be responsibly emptied and removed after the event. Special event connections may be restricted during droughts. 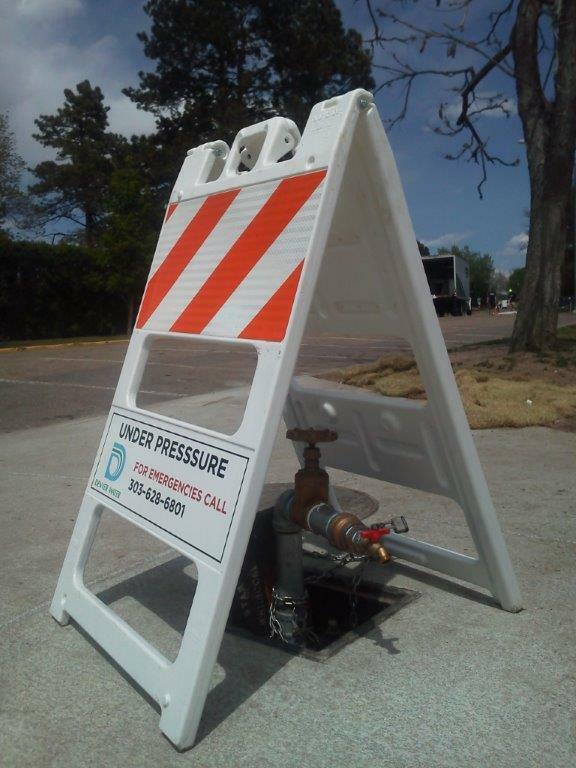 Denver Water supports Denver Fire code, which requires at least 10 feet of clearance around all hydrants to allow adequate space for emergency access, maintenance and repair during the event. 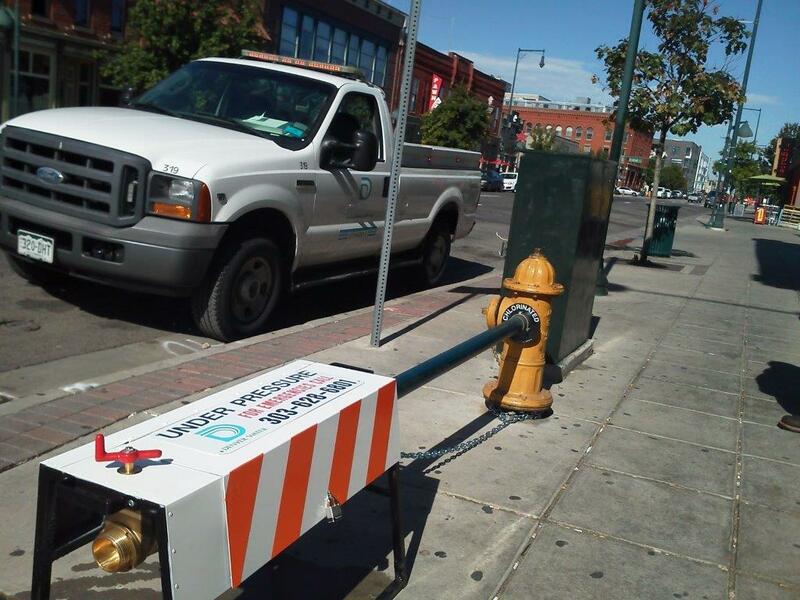 Denver Water needs unimpeded access to the hydrant for personnel and members of the public. It cannot be blocked off or hidden from general view. If the service connection is not in compliance with the above stated requirements, suspension of water service will be immediate and a violation fine of $500 will be charged to the permit holder. Any damages or theft of the equipment will be billed as necessary. Denver Water guarantees water quality up to the outlet side of the water connection. In cases that involve for-profit vendors who sell food and use potable water in the course of their operations, the Colorado Department of Public Health and Environment will enforce compliance downstream of Denver Water’s final point of responsibility. Denver Water does not provide free water service to any special event. A fee will be charged for all water connection permits for special events. Permit fees will be billed immediately after event connection removal and are due 30 days after invoice date. The number of estimated attendees must be greater than 10,000. There is no admission fee to attend the event. The event producer will provide mutually agreed upon public recognition and/or other promotional benefits to Denver Water. Proof of promotion is required. Contact Jessica Mahaffey, 303-628-6398 if you need more information about nonprofit pricing.